Great news! the Hayman family today announced plans to move the distillation of its range of English Gins back to the capital, where their gin story started over 150 years ago when James Burrough, creator of Beefeater Gin, first started distilling in the capital. 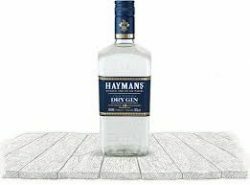 The new distillery will be housed in a period brick warehouse in Balham, South West London, with the first batches of Hayman’s flagship London Dry Gin scheduled to come off the stills in Autumn 2017, following a substantial refurbishment of the site. Commenting on the move, direct descendant of James Burrough, Christopher Hayman states: ‘I’ve made no secret over the years of my ambition to move distillation of our range of English Gins back to London. After several years of growth and continued interest in our story, I’m delighted we’re now at the stage where this has become a real possibility. The increased capacity of the new site will allow us to share our range of traditional English Gins with ever more people both at home in the UK and with our many friends and partners all around the world.’ Located moments from Balham High Road, the new distillery will provide room for a training area and consumer events space, which will be used to bring the Hayman family’s long association with English Gin to life and to showcase the traditional two-day distillation process still employed by the brand to this day. Located less than four miles from the family distillery first launched in 1863, the new location marks a continuation of Hayman’s commitment to championing the traditional English Gin style – and the start of a new chapter for the sole remaining family of original English Gin makers.